As many of you know months ago I moved from VMware Professional Services to the VMware Cloud Practice. A major part of our work revolves around VMware vCloud Director(vCD) so you can imagine that I am glad it has finally been released. This lifts the NDA and as such you can expect a whole bunch of articles in the near future about vCD. Now, I guess you noticed it says “VMware vCloud Director Cluster”. This cluster is formed by multiple vCD servers or as we refer them to “cells”. The cells form vCD and are responsible for the abstraction of the resources and the portal amongst other features that will be discussed later. These resources will be offered through a self-service portal which is part of vCD. As a vCD Administrator you can use the vCD portal to carve up these resources as required and assign these to a customer or department, often referred to in vCD as an “Organization”. Please note here that vCD is not purely designed for Service Providers, vCD is also designed for Enterprise environments. A Provider Virtual Datacenter is the foundation for your Compute Resources. When creating a Provider Virtual Datacenter you will need to select a resource pool, however this can also be the root resource pool aka your vSphere cluster. At the same time you will need to associate a set of datastores with the Provider vDC, generally speaking this will be all LUNs masked to your cluster. Some of my colleagues described the Provider vDC as the object where you specify the SLA and I guess that explains the concept a bit more. So for instance you could have a Gold Provider vDC with 15K FC disks and N+2 redundancy for HA while your Silver Provider vDC just offers N+1 redundancy and runs on SATA disk… everything is possible. After you have created a Provider vDC you can create an Org vDC and tie that Org vDC to a vCD Organization. Please note that an Organization can have multiple Org vDCs associated to it. I depicted this in the following diagram, there are three Org vDCs owned by a single Organization across two Provider vDCs. The two provider vDCs each have a specific SLA. Of course there are various ways to create a network, but that is way to complex for an introduction article. I will go into more details around all the cool networking functionality that is offered in one of the following articles however. As you can see there is a lot possible with vCD, I guess too much to describe in a single article. As you can imagine I am really excited about this release, and am absolutely thrilled that I can finally talk about this. There are more blog articles coming up, but I just want the dust to settle a bit first so everyone can see those clouds! Great intro to vCloud Director. Well written and to the point. Unfortunately the vCloud Director cells only appear to run on Redhat Enterprise Linux 5 and require an Oracle database. More infrastructure, horrible licensing and closed software than you can shake a stick at. Hardly an “open” cloud product that some people may have been looking for. This really needs to fly on any long term supported Linux distro like Ubuntu LTS, Centos, SUSE and with an open database platform. This is a version 1.0 product. As you would expect in future releases more supported distributions and databases would and will be available in the future. I’ll second that. Great article! It sounds like a solid product that fits an area that a lot of small to medium size cloud providers need but I don’t see many people adopting it honestly. The required use of RHEL 5 and Oracle put the TCO and ROI out of reach of many small/medium cloud providers and large cloud providers already have systems like this in place that were custom built or have processes in place to handle these operations. Is there any particular reason this product was pigeon holed into RHEL 5 and Oracle? VMware loves Oracle and Microsoft …. Duncan, Great overview of vCloud Director. Is vCD the official acronym for the product? Thank you for the well written summary of vCD. @Baz – while the beta was running, many (self-included) express the sentiment around Oracle dependence, that is something VMware is working on, and as David Hills points out, this is after all v1.0. With regards to RedHat. Nothing is stopping you from installing this on CentOS – which as you know has binary compatibility with RH; Not supported, but will work. great article, just a comment – the vcloud director cell can connect to multiple vCenters and abstract resources, it is not bound to one Vcenter. Something else that doesn’t make sense to me is that SLES is supposed to be the Linux OS of choice for VMware appliances now. You get it for free, with support if you buy new Enterprise or Enterprise Plus licenses. Plus VMware OEMs the thing. So why is it that vMA is Centos and vCSD is Red Hat? This is going to be huge for our environment. Thinking maybe VCAP will need to be put on hold??? lol. Hi Duncan, Thanks for the simple-to-understand explanation. Very well written. Great article! I have a couple of questions though. When you say the following :After you have created a Provider vDC you can create an Org vDC and tie that Org vDC to a vCD Organization(what/which organization are you talking about here ?). Please note that an Organization can have multiple Org vDCs associated to it. Here when you say Organization you mean a department or a customer right ? Also, Provider VDC is the highest level of abstraction which consists of multiple Org VDCs right ? Great article Duncan. I look forward to future articles. 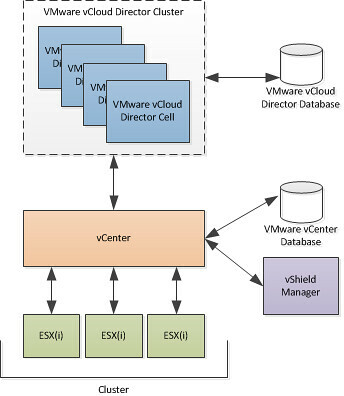 And also the figure shows one vShield Manager for each vCenter. This means that as an integrator across vCenters, I must have multiple vCD and vShield Manager installations. In addition to the infrastructure requirements, do I need to buy separate licenses of vCD and vShield Manager for each of my vCenters? On a side note, I think the excuse of this being a 1.0 product is a weak one. It seems like we take it for granted that its OK for 1.0 products to be lacking. Its one thing if 1.0 software is lacking advanced features but another thing if it has so many restrictions for even basic use. Also it might be fine if it is the first cutting edge product in a new space but in this case, there are number of vendors big and small providing such capabilities already. 1) a single vCD cell can connect to multiple vCenter servers, however from a resiliency persective you will want to have multiple Cells! 2) You will need a VSM per vCenter server indeed. However, it is an appliance which is installed in seconds and only durinf the initial install ylu ill touch it… vCD will manage the Edge devices through VSM so no need to worry about it. From a licensing perspective: vSM is part of vSphere, vCD is not licensed per vCenter or vCD cell so that is not an issue. Well written and nicely explained. I am eager to know if there is any way we could download an evaluation version of VCD as for testing and understanding purpose. I guess you need the below link if you want to prepare a lab-setup for VCD. Its the best and simplest article on VCD i have even seen. Thanks a ton to Duncan. Forgot to mention one more thing. The Lab-setup guide worked perfectly fine for me. i have no idea where I need to start learn about vcloud director. This article helped a lot. Easy and clear explanation. Thanks a lot. Although this is a very old post, I’m hoping Duncan or someone else might be able to elaborate a little further on the requirements for multiple vCD cells. In particular, Duncan, can you explain what is meant by your comment… “a single vCD cell can connect to multiple vCenter servers, however from a resiliency persective you will want to have multiple Cells”? Are multiple vCloud Director cells mandatory if you have more than 1 vCenter Server in your environment? 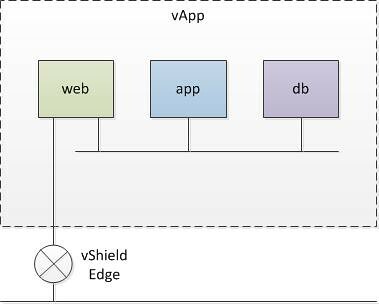 Do you plan to support QOS on vshield edge ? Any SLA (guaranteed BW , latency , HA) for all VMs sending traffic through vshield edge device ? my question about all of this is’ why’..
why do we need to install vcenter + vsphere to install/manage VMs, and then we need vcloud director to manage vcenter?? ?..it’s ridiculous..everything needs to be ‘discovered’ or ‘registered’ with vcenter server in the first place…so why isn’t EVERYTHING built into vcenter and enabled/disabled by licensing??? it makes absolutely no sense to me at all..